GoG is also known as Good Old Games, and was formed 2008 by the guys from CD Projekt company - a polish game company known of "The Witcher" franchise. 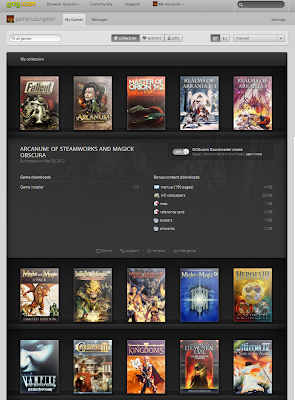 It's online pc game store selling mainly old classic games as copy-protection-free (DRM-free) downloads, but they have been recently expanding also to include newer releases into their selection, as well as some indie releases like "Legend Of Grimrock" for example. This means you don't need a cd at any point - plus they are legal company and have made deals with the companies that own the rights to the games they sell. Regular price for game download is from $5.99 dollars to $9.99 but they have regularly campaigns, -50% promotions etc, when you can get classic games like Jagged Alliance, Fallout and so on very cheap. Their catalogue is ever expanding and contains truly classic games along several rarities. 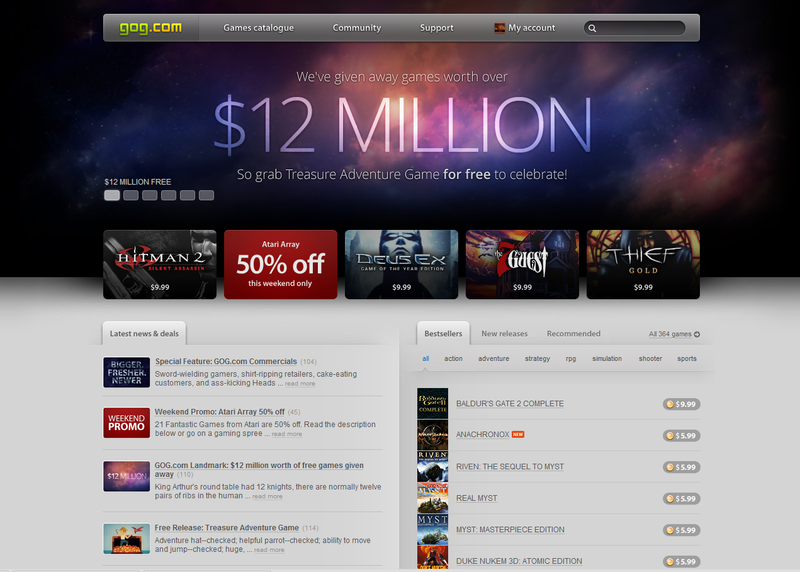 GoG's biggest competitors are most likely Steam and Gamersgate. Why do I promote GoG? 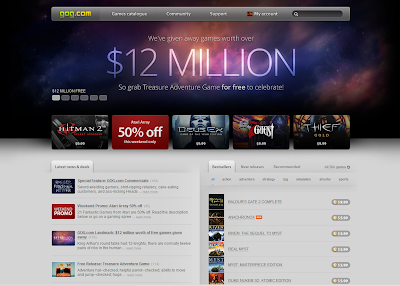 Well simply because I think it's an awesome online game store which I like personally a lot. 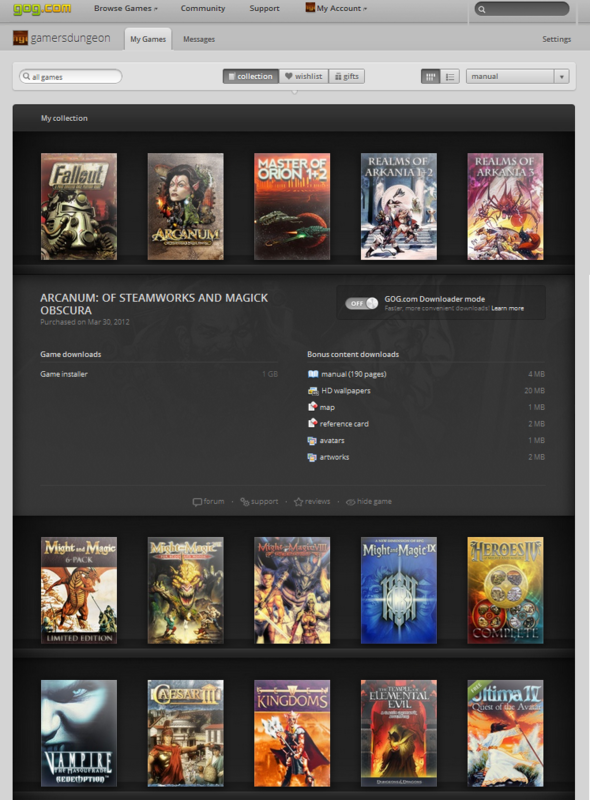 Unless I really want a physical copy of some great game, as a part of "collection", GoG is way to go. Good Old Games is probably the best online store for classic game downloads at fair price. Not only that, but GoG games are Windows 7 and XP ready for you when you buy them, being pre-customized to use Dosbox application. If you're not familiar with Dosbox, it's a free Dos-emulator for several windows versions including the newest ones, slowing your games down and be allowed to be played in Win 7 for example. It has it's own hassle though it's relatively easy to customize, but Good Old Games' idea to pre-customize games for you not having to mess around with DosBox - since games are DosBox ready the second you complete the installation - is very welcomed addition. GoG includes additional extra goodies with their downloads for each game, when you buy one online. Such as game manuals in pdf format, possibly cluebooks, wallpapers, other game art and so on. GoG have regular discount campaigns and they tend to gift free games, for both regular customers and affiliates, who can then use those games freely for example as their own gaming community's competition prizes or such. They also have a large community forum at their website broken into game specific sub-forums. All you have to do is register GoG, buy some game downloads with all common methods of payment, and get instant fast download for the game after payment with easy to use "GoG downloader" app. I've had great download speeds this far, and when the download is complete, just install and play any of those Dos games without having to worry what Windows you are using. You can re-install or re-download the game any time again if you needed to do so. Sounds good? Another very cool thing is that GOG listens their customers wishes. As they are expanding their back catalogue, they do it so that they will include some games that customers wish the most. To assure this, GOG holds a voting system for games which aren't in their selection yet. Any registered member can basically go over the "voting page", and give a vote to any of the games in the "wishlist", or add his/hers own suggestion of a game to be included there in case it's not in the list yet. You can see whole voting system and the current wishlish here.